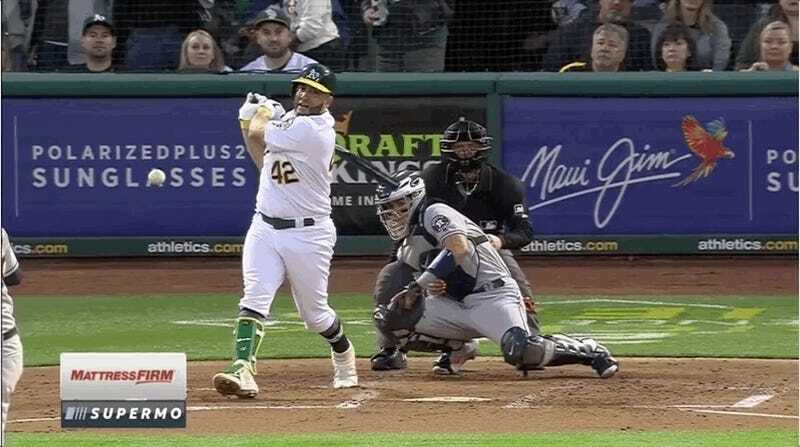 In the bottom of the second, A’s first baseman Kendrys Morales slapped McHugh’s fastball right back towards the pitcher’s head. In a moment of pure reflex, the pitcher leaned back and contorted his body to protect his teeth from getting smashed. McHugh’s dodge gave the ball a straight path to Houston’s Carlos Correa, who turned the pitcher’s scare into a double play. Personally, I think he should have lifted his hand towards the batter and stopped the ball mid-flight. That would’ve been cooler.